Two junior off the beach classes completed their two-day series on Thursday April 14 as part of Sail Port Stephens, the final event of a long summer season that has taken many young sailors interstate and some overseas to compete. Jack Ferguson, 13, won the Optimist division from the Royal Prince Alfred Yacht Club’s Oliver Gordon and Fletcher Walters. In the Open Bic division, the host club, Port Stephens Sailing & Aquatic Club, fielded the top three finishers led by Rhys Schultz skippering his boat, Jack Hollman. The past season he’s been busy on the Optimist circuit, including finishing sixth overall at the New Zealand Optimist nationals. At the end of June Jack is off to Portugal for the class’ world championship where up to 300 entries are normal. 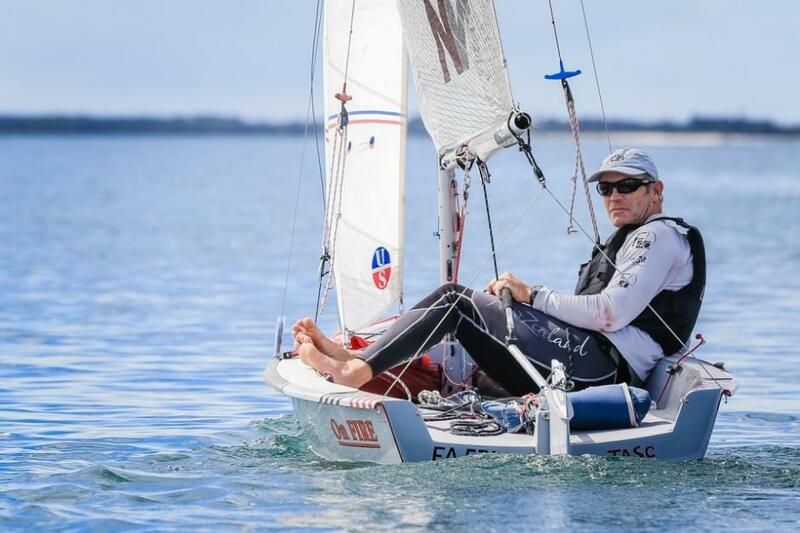 Young Jack is closely following the progress of Australian’s world number one 470 pairing, Mat Belcher and Will Ryan, as they prepare for the Rio Olympic Games in August. “I’ve been watching them closely and I’ll be watching how they go at the Olympics,” he assures. Second in the Optimist division, Oliver Gordon, is not long back from a snapped ACL playing soccer and a year off. “It was quite a light regatta but the racing was good and the club did a great job of hosting us,” Gordon praised. His RPAYC coach Traks Gordon said in Oliver’s situation, soccer cost way more than sailing. Oliver’s next big regatta is Queensland Youth Week in July and then following his Olympic hero Jason Waterhouse in the Nacra 17 at the Rio Games in August. Gordon’s long term goal is also to reach the pinnacle by one day qualifying to represent his country at the Olympics in sailing. 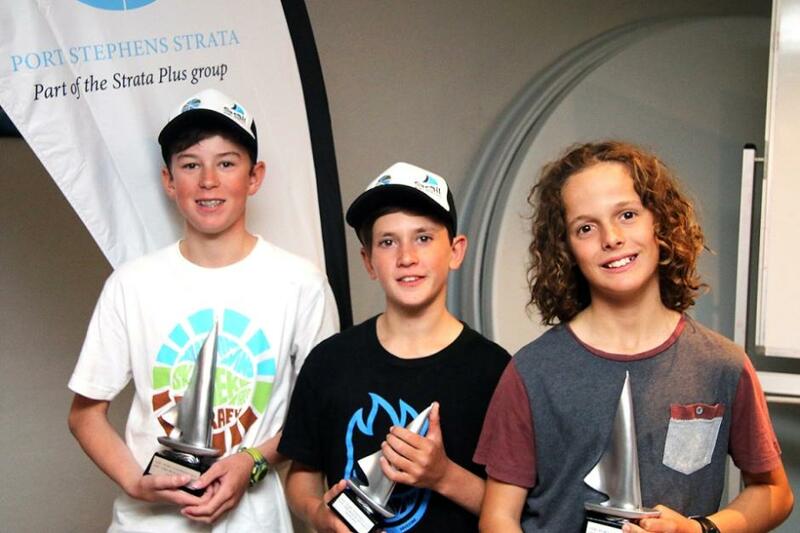 Third placed Fletcher Walters flew from Adelaide to Sydney the night before the Sail Port Stephens junior series began, straight from an Australian Opti camp. Rhys Schultz declared yesterday’s Open Bic division win the highlight of his summer. From Sail Port Stephens it’s back to more regular school holiday activities for Rhys and the rest of the PSASC juniors who were part of the Junior off-the-beach Series supported by Port Stephens Strata and Gill Australia. The second phase of Sail Port Stephens, the Port Stephens Trophy including the NSW IRC title, is underway around the bay and offshore, all fleets enjoying strengthening nor’easters on a stunning autumn afternoon. Sail Port Stephens is proudly supported by the NSW Government through its tourism and major events agency, Destination NSW, and Pantaenius’ major sponsorship continues for the third year. Visit the website www.sailportstephens.com.au/ for all regatta documents plus information on accommodation and the soon to be released social program and like the event Facebook page for updates.